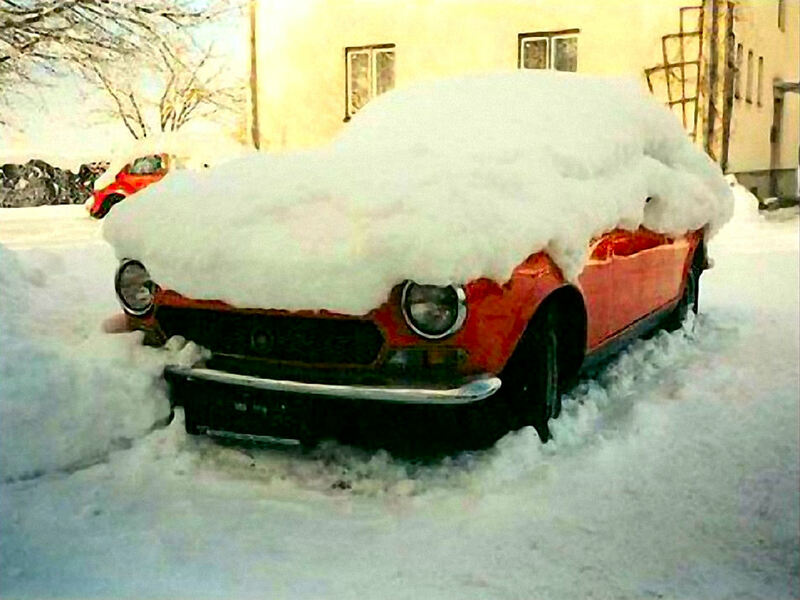 Because cars were made to be driven regularly, winter storage - or any prolonged period of storage - can really take its toll, unless people take a few precautions to protect their vehicle while it's in hibernation. A little work now can protect your precious vehicle from rust, animals and other storage-related headaches. To help Spider owners keep their stored vehicles in good shape, here are a few tips. Get it out of the elements! No amount of precautions will protect a car that is stored outside where the sun, rain, or snow will beat on it day in and day out. Put it under a canopy or keep it in the garage. Keep the fuel fresh. When gasoline sits, it can break down and form gum and varnish, which will clog a fuel system. What's more, any moisture left in the system can cause rust. The solution: Add a container of fuel stabilizer to the gas tank, then fill the tank to the top right before putting the vehicle into storage. The short drive home from the gas station will circulate the stabilized fuel throughout the system, keeping the gas fresh and the system safe until the vehicle is ready to ride again. Don't let the cooling system freeze during the winter. Drain the system (including the radiator) and refill it with a rust-inhibiting antifreeze. Change the oil. It's important to remove any acid, moisture and other contaminants from an engine by changing the oil and filter before putting a vehicle to sleep for the winter. It's okay to use the same-viscosity oil as usual, as long as the oil contains corrosion protection. Avoid flat-spotting the tires. A vehicle that sits for a long period of time can ruin a set of radial tires. The best way to save those expensive tires is to store the vehicle up on jack stands. Some people also may want to remove the vehicle's wheels and tires—or let some air out of the tires to reduce strain on the shocks and other suspension components. Keep the battery alive. When a battery loses its charge over time, it can freeze and explode. To avoid a dangerous mess, hook up a battery charger/maintainer, which will keep the battery properly charged, no matter how long the vehicle sits. Check the insurance. Just because a vehicle is sitting undriven doesn't mean liability coverage is unnecessary. What if someone pushes the car, and it winds up rolling down the driveway and into the neighbor's brand-new Mercedes? Collision and theft coverage can be important, too. Prevent rust. Unpainted metal surfaces, from engine parts to tailpipes, can use a good coat of rust inhibitor. Protect vinyl, leather and rubber. If the vehicle will be stored in a dry climate, it's wise to apply a preservative to prevent seats, armrests and dash pads from cracking. Provide critter protection. All kinds of small animals find vehicle wiring, seats and carpet delectable, and they think cars and trucks make a nice den, too. To keep critters out, place mothballs inside a vehicle, including under the dash, and cover the tailpipe. Or, for total protection, store the vehicle inside a cocoon that seals it completely from the elements. Store convertibles with the top up. Convertible tops can actually shrink if they are left in the down position for an extended period of time.